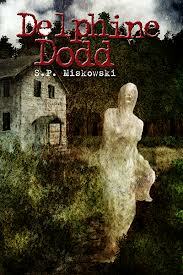 SP Miskowski is one of the finer voices in modern horror fiction. Her work is tense, beautifully paced, and deeply, deeply perceptive as to the human condition and all its foibles, faults and perfections. She was kind enough to answer a few questions for me about her debut novel, Knock Knock, the Skillute Cycle of novellas she’s currently writing, and horror in general. 1. So, to introduce yourself, how long have you been writing and what started you off? My sister started me off. She taught me to read when I was about four years old, long before I started school. I was reading books when my classmates were learning the alphabet. Books were essential to me, at an early age. I wrote little books when I was in elementary school, and had some things published in the school newspaper. It came naturally. Later on, my eighth grade English teacher told me I had talent. She became a mentor. She recommended titles outside of class, and commented on the essays and short stories I was writing. 2. 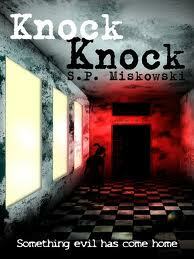 What was the impetus for writing Knock Knock? The novel started with a long, lonely night of insomnia. We were visiting my husband’s family in southwestern Washington State, and staying with his grandmother. It’s a beautiful spot, but as I was staring out the window at the pitch-black woods, with no one else awake in the house, I wondered what the hell I would do if I lived in this place, all alone. Or what if I were an outsider, someone who had never lived in the country, and I had to stay in a small town for a while? What if I were pregnant, staying among neighbors who were hostile, and trying to escape…? And so on. I wrote all night, and those notes and sketches became Knock Knock. 3. I’m totally fascinated by how none of the women in Knock Knock ever let the men in their lives know who they really are … was that a conscious decision? Do you think it’s something that simply reflects reality? I don’t think it reflects everyone’s reality. Certainly not mine. I grew up with some wonderful men, trusted them, and felt comfortable confiding in them. The relationship I have with my husband is like that. So, clearly, it’s possible. Sometimes women live through circumstances that prevent them from being themselves. I’ve observed this, many times. A woman growing up with men who take advantage of her will have a different approach to men, in general. The main characters in Knock Knock experience their awakening sexuality in vastly different ways. Yet all three women measure their chances at a happy life against the evidence (an older generation) and they sort of give up, or go into hiding. They’re hiding in plain sight, going through the motions of living. They don’t let men into their private thoughts and they barely confide in one another. They’ve learned to fit in, instead of being weird, instead of being themselves. This is a necessary strategy, given the situation in each family. Ethel’s father is an alcoholic locked in a brutal love-hate relationship with his young wife. Beverly’s parents dominate her social life with their relentless conformity. Marietta has no male influences, only dire warnings from her aunt. In creating these characters I wanted to be true to their story. I didn’t want to force my experiences with men onto the characters’ view of the world. Educated, mobile individuals often forget that not knowing you have options is the same as not having any. These women don’t look outside their upbringing for a realistic escape, and why would they? Eventually their imagined lives are buried as deeply as the remains of the local legend. 4. You’re also writing the Skillute Cycle of novellas – is this a ‘follow-on’ to Knock Knock or more like puzzle pieces fitting in a larger mosaic for you? Puzzle pieces, I hope! It’s been fun for me to work on a large scale. Delphine Dodd is a prequel to Knock Knock, while Astoria’s action occurs between Part Two and Part Three of the novel. And the final novella, In the Light, takes place five years after the events in the novel. Anyone should be able to read one book from the Skillute Cycle and get a fairly complex story. If you read all four books (and if I’ve done my job well) the stories will interlock and form more interesting patterns together. Fingers crossed. 5. What was it about the characters and the interwoven tales of the novel and novellas that made you want to explore the world further? Once I made the decision to see the fictional town of Skillute through several characters, instead of one point of view, the place opened up. The history of a town chronicles its shifting landscape, but it’s also about individuals and their changing relationships. The better I knew the place I’d created, the more I understood the characters. They had more to offer. 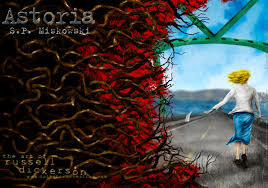 All of them were connected by this subterranean legend of an abused girl and a vengeful spirit residing in the woods. The legend had a different meaning for each character. 6. You’ve been shortlisted for a Shirley Jackson award, and Knock Knock certainly has a very similar feel and rhythm to Jackson’s work – parts of it gave me a similar shudder to “The Summer People” and Hill House – and there are definitely elements of Poe and Flannery O’Connor to your style, so who are your literary heroes? Who did you grow up reading? Flannery O’Connor has been an influence on my writing for a long time. Oddly enough, I never interpreted her stories as overtly religious or moralistic. The attraction was the brutality of her honesty about human nature, her willingness to portray as inevitable and inescapable the worst things of which we’re capable. The most banal setting can suddenly break open with the arrival of a character whose intentions we can’t explain. Moments of crisis in O’Connor’s work often follow a protagonist’s encounter with someone whose behavior is hard to interpret. They’ve taken for granted their ability to figure things out, and now everything has to change. Both Shirley Jackson and Flannery O’Connor are keen social critics. They skewer our delusions without preaching. They don’t tell us how to live. They present characters that crash against reality and fail to perform heroic deeds. Heroic ideals and plans are in the character’s mind, never played out. This is a hard look at what we really are. I know it doesn’t appeal to everyone. Most people want to believe. Most people want to escape, and triumph over adversity. But I find freedom in admitting the darkest truth. 7. You don’t shy away from gruesome elements, but you’ve got a lovely light touch when you write them – what first drew you to write horror rather than any other genre? I’ve always respected horror fiction. When I was a kid Stephen King had his name above the title of movie adaptations, which impressed the hell out of me. Among American authors whose work was adapted to the screen, he was the Man. I still have great respect for his storytelling and his integrity as a writer. There were no reading restrictions in my house, growing up. I skipped right from A Wrinkle in Time to The Exorcist. I read The Once and Future King, then Portnoy’s Complaint and The Godfather because my mother bought bestsellers at the grocery store and the pharmacy, along with the latest issue of Cosmopolitan. I read Rosemary’s Baby and The Mephisto Waltz, Edgar Allan Poe, Shirley Jackson, Ray Bradbury, James Leo Herlihy, and Vladimir Nabokov. Later, in college, I had to recognize and analyze differences in prose style, but when I began I was reading purely for love, lust, a craving for fiction. I didn’t care which of the books I loved was riddled with clichés and which was an acceptable topic for a term paper. I still feel this way. As a reader I’m drawn to psychological and supernatural disturbances in fiction, not a particular style, but I notice that I have less patience with pure fantasy than I used to have. I study real behavior, which is weirder than art. I also like suspense, which I find more tantalizing than gore. But this is only a very general preference. There are visceral films and books that I love. Exquisite Corpse by Poppy Z. Brite is a favorite. 8. Five people (real ones) you would invite to dinner, alive or dead? I’d invite my parents and their old drinking buddies, Mary and Bud. All dead. I’d invite Chef Hubert Keller to cook, and we would get drunk on beautiful cocktails. My mother was the funniest person I’ve ever known. I’d trade almost anything to spend another day with her. 9. Five fictional characters you would like to have coffee and cake with? Eli and Oskar from Let the Right One In, Frankenstein’s creature seated next to Jean-Baptiste Grenouille from Perfume: The Story of a Murderer, and Camilla Macaulay from The Secret History because I’m in love with her. 10. What’s next for S.P. Miskowski? In the Light, the final novella of the Skillute Cycle is in progress and should be available early in 2014. 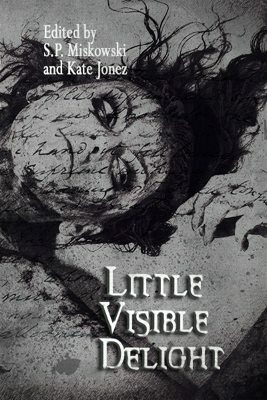 Meanwhile I’m co-editing an anthology, Little Visible Delight, with Kate Jonez. And I’m working on a new novel. It’s a bit disturbing. There’s at least one murder. More on that later! Thanks for asking. This entry was posted in News, On Publishing, On Writing: General and tagged A Wrinkle in Time to The Exorcist. I read The Once and Future King, and Vladimir Nabokov., astoria, Camilla Macaulay from The Secret History, delphine dodd, edgar allen poe, flannery o'connor, frankenstein, James Leo Herlihy, Jean-Baptiste Grenouille from Perfume: The Story of a Murderer, knock knock, let the right one in, Little Visible Delight, ominium gatherum, Poppy Z. Brite, Ray Bradbury, Rosemary's Baby and The Mephisto Waltz, S.P. 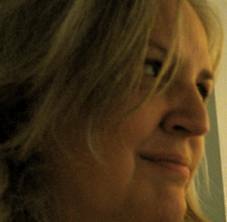 Miskowski, shirley jackson, skilluyte cycle, stephen king, then Portnoy's Complaint and The Godfather, with Kate Jonez. Bookmark the permalink.